Here’s a comic! 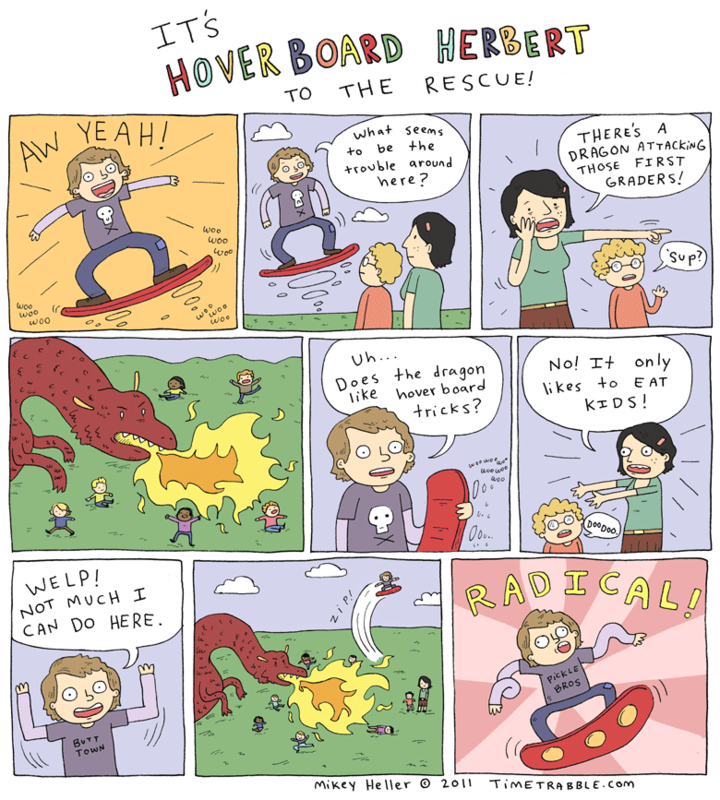 It’s got dragons, hoverboards, and kids in danger of catching on fire. Triple threat. Let’s tweet on one another. And so the Muse Juice has started up again! Cheers!